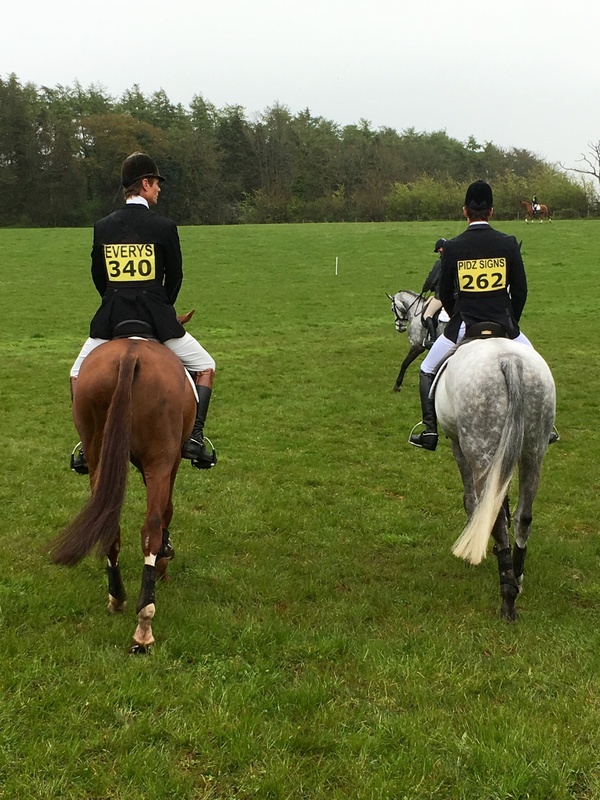 It was great to be out at Bicton today, and we were very lucky that the forecast rain did not come too heavily. It was quite wet and slippery but we had perfectly good ground conditions. It was the first run since Badminton last year for Chilli Morning, I ran him just in the Open Intemediate. He did a lovely dressage test, he was calm and obedient so I was very disappointed he only scored 32, luckily today couldn't matter less. He show jumped a super clear, over quite a decent track, and on the cross country he felt lovely. He went very nicely indeed, felt very relaxed and didn't pull at all. He was very happy to be out and enjoyed the decent ground and lovely Intermediate track. Helen West and her team have really done a superb job to produce a good flowing track. 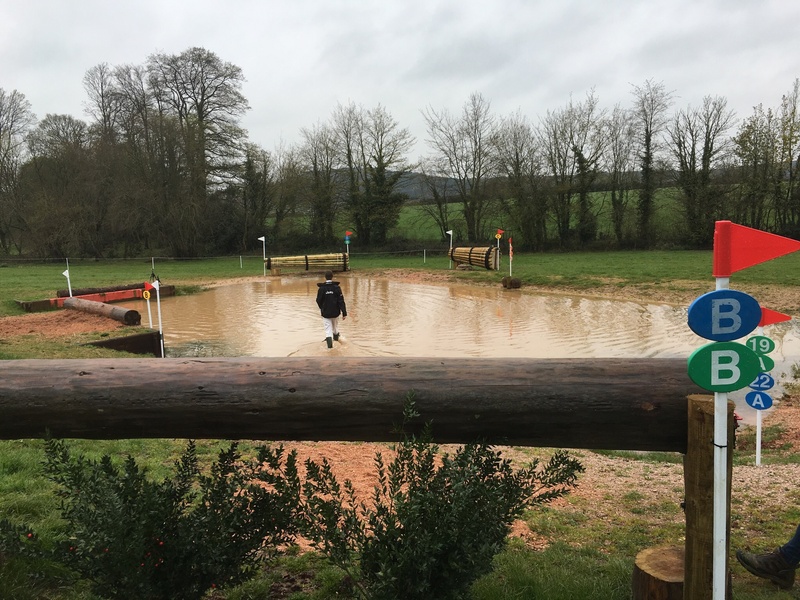 The Intermediate course was spot on for this time of year and she had really ironed out some of the tougher terrain to make the course flow well. It was fantastic to have Oslo out again, his first run for 18 months, and he felt as good as ever. He led the dressage in the OI on a score of 28, he was very soft and relaxed, he then bounced around the show jumping clear. He was not very disciplined but that doesn't worry me at all at this stage of the season. He then popped around the cross country very confidently. I didn't hurry him on but his good clear round secured seventh place. Cool Mountain also had a very pleasing outing, he did a lovely dressage again, but the score of 31 was quite disappointing. He rolled a pole in the show jumping and flew around the cross country, he really seemed to enjoy himself. He is hopefully running in the advanced next weekend at Withington. Last but not least Little Fire was having his first run in an Intermediate this year. He did a nice test with one or two mistakes to score 35. He jumped a lovely clear in the show jumping which was very pleasing as it was quite difficult, and on the cross country he felt amazing, taking it all in his stride. Top Biats went very well in the OI, he did a good dressage jumped a double clear to win his section. 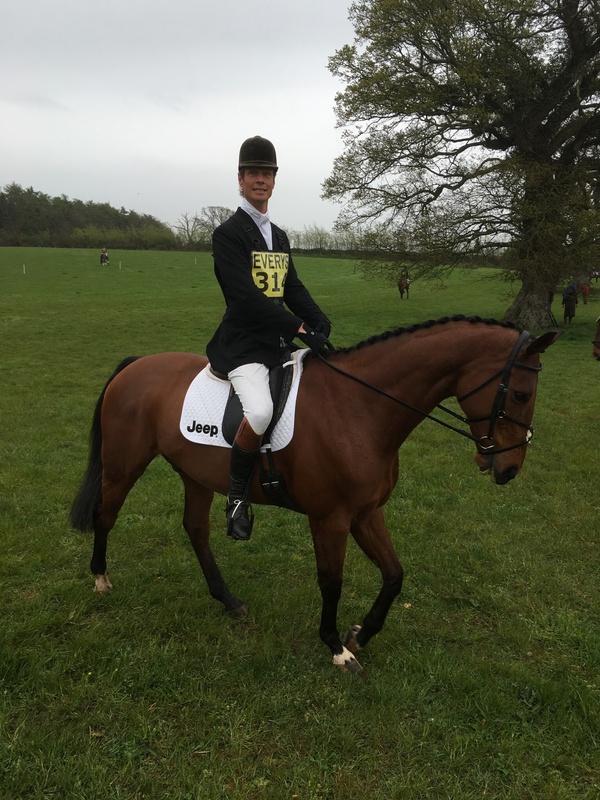 Also in the OI was Dynasty, who was surprisingly spooky in the show jumping, but gave Hector a superb ride cross country. Hector also rode Red Kite in the Novice very well, notching up another clear round cross country. We are back on Sunday with some of the Novices, so we have a day to enjoy at home tomorrow.